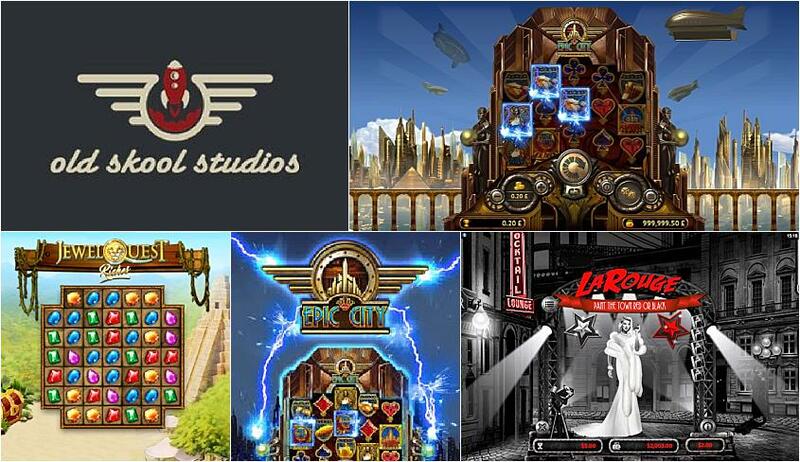 Specializing in HTML5 development and mobile gaming, Old Skool Studios is an industry-leading online slots maker. They offer a great range of games and distinguished apps that boast innovative features and intriguing graphics that will have players engrossed for hours on end. This relative newcomer to the world of online slots is still in the process of launching a number of new games. However, from what they have launched so far, it’s clear that their slots games are exciting and rather impressive. Click here to read more. Epic City is one of the current favourites from Old Skool Studios and boasts an intriguing 1930s theme that offers a wide range of bonuses and innovative gameplay. Discovering the glitz and glamour of the ‘30s, gamers will find themselves instantly transported to a time when they can bestow themselves with plenty of riches, becoming the magnate of the Epic City. With 20 paylines and 5 reels, this slot has a lightning storm bonus where players can help bring power back to the city, being justly rewarded for doing so. There are also stacked wilds, extra multipliers and prize wheel mini games up for grabs! Old Skool Studios doesn’t just stop there; they also provide mobile apps that feature the same themes and designs as their games. For example, Epic City can be brought to your mobile through the Old Skool Countdown, which allows you to enter a special date (that is occurring within the next 99 days) and setting the number of days, hours, minutes and seconds so you can monitor exactly how far away it is. Designed in line with the theme of Epic City, it really helps to tie the game in with everyday life, with an old-fashioned alarm sounding when your special date finally arrives. They’ve also designed the Old Skool Calculator, which again follows the same theme as the other Epic City apps and slots. This is a fully animated calculator, and you’ll find the gears winding up as you tap in your calculation. They will then be released when you press “equals”. It also has a great memory, storing numbers (which is animated with a steam gauge needle) and providing you with the comforting sounds of an antique cash register when you use it! Other games include Clockwerks Compass, ChinBounce and Atom Ball. All of the games and features designed by Old Skool Studios are built using HTML5, which enables them to run across a multitude of devices. These include Blackberry, Windows, Android and iOS, allowing gamers to enjoy all of these on desktop, mobile and tablet devices. It doesn’t matter how you choose to play as all of the features, graphics and details will be carried across all of these devices so you won’t miss out on a thing. What’s clear with Old Skool Studios is that their attention to detail is second-to-none. Creating in-depth games with great storylines and utilizing features to build additional apps, they’re definitely one to the watch out for in the future!